Exchange rates can sometimes turn the best vacation deal into a nightmare. The recent Swiss Franc valuation caught ski vacationers by surprise. When expensive Alps ski resorts get even more expensive, many European skiers just stay home. Fortunately there is another solution. 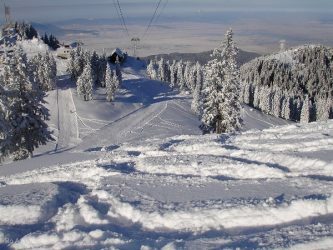 Skiing the Carpathians, Slovenian Alps, Caucasus, and other Eastern European resorts almost always costs half as much.